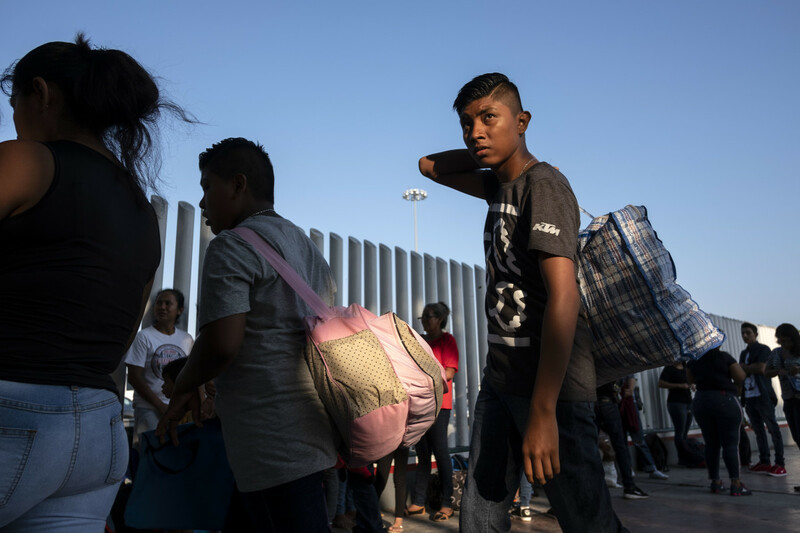 Asylum seekers gather at El Chaparral port of entry in Tijuana, Mexico, on August 10th, 2018, as they look for an appointment to present their asylum request before the United States authorities. 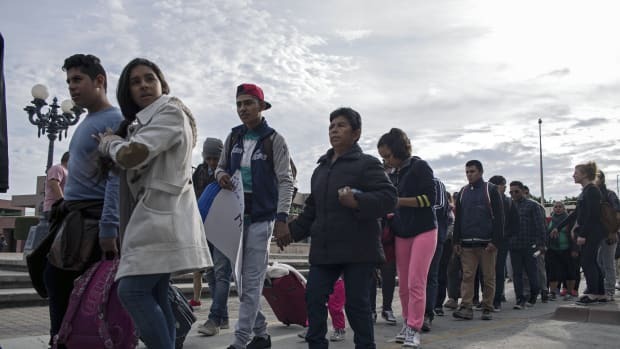 President Donald Trump has publicly claimed he&apos;ll change the United States&apos; asylum laws via executive order, automatically denying anyone who doesn&apos;t show up at a designated port of entry and enforcing mandatory detention for all asylum seekers. On Thursday, Honduran migrants filed a class-action lawsuit in federal court, claiming that Trump&apos;s policies are denying people their legal right to seek asylum in the U.S. But what is asylum? Are these people refugees? And how much of a chance do they have at resettling in the U.S.? Here are answers to some common questions about asylum and those who seek it. What Is Asylum? What&apos;s the Difference Between Being a Refugee and Seeking Asylum? People who enter the U.S. as refugees apply for that status from outside of the U.S. Asylum status is only granted to people who can prove they are refugees and are either already in the country or seeking admission. How Long Has the U.S. Accepted Refugees and Asylees? The U.S., along with 145 other nations, is a signatory to the 1951 United Nations&apos; Refugee Convention, which codified the process after the Holocaust killed millions, many of whom sought safety elsewhere. The signatories of this convention cannot send refugees back to states where their "life or freedom would be threatened" on the basis of one of the five protected categories. But it&apos;s not just international law governing these processes: Federal laws also grant refugees and asylees protection. The Immigration and Nationality Act, which defines and provides for both groups, was passed in 1960, and the Refugee Act of 1980 streamlined the resettlement process. Why Don&apos;t People Apply for Refugee Status Instead of Entering Illegally? First, it takes time, and many people who fear death or violence don&apos;t feel they can wait for the entire screening process while remaining abroad. Second, the U.S. puts caps on how many refugees they&apos;ll accept each year, and the Trump administration has lowered the cap twice. Additionally, admissions often don&apos;t hit the cap: In fiscal year 2018, the cap was 45,000, but only 22,491 people were accepted. Second, it is perfectly legal to claim asylum when entering the U.S. at any location, not just at designated ports of entry. This is spelled out specifically in the law: Any person has the authority to apply for asylum from inside the U.S. or when they arrive in the country, regardless of their immigration status. What Basis Do They Have for Claiming Asylum? 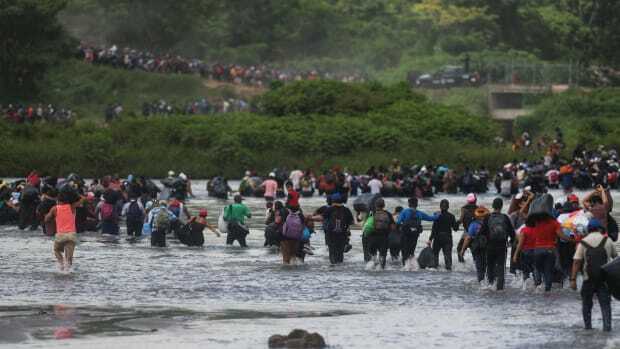 Many of the migrants from the Northern Triangle—Honduras, Guatemala, and El Salvador—are fleeing gangs that target women, children, and young unaffiliated adults for extortion and violence. In the last few years, courts—notably, the Board of Immigration Appeals in 2014—ruled that violence on the basis of gender (like domestic violence), sexuality, or resistance to gang activity met the threshold for persecution based on "membership in a certain social group." Of course, others have disagreed and deported asylum seekers, especially those who show up to court without lawyers, calling the violence they face "generalized." (Because immigration court isn&apos;t a criminal court, migrants aren&apos;t guaranteed a lawyer.) And Attorney General Jeff Sessions declared in June of 2018 that gang violence and domestic violence aren&apos;t grounds for asylum. The American Civil Liberties Union sued him over the policy in August. Why Don&apos;t They Just Go to Ports of Entry? Immigration rights advocates allege that refugees are being driven away from ports of entry illegally. 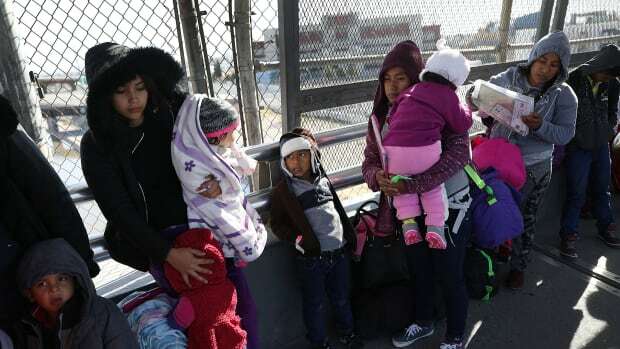 Some are being returned to Mexican immigration authorities instead of American ones; others are being made to wait at the border bridge indefinitely. Most of the asylum seekers intend to use the "defensive" process by surrendering themselves to U.S. immigration officials and claiming a "credible fear" of harm as a defense against deportation—but they can&apos;t do this until they physically enter the U.S. There is also an "affirmative" process, in which a person inside the U.S. who has not been slated for removal files for asylum within a year of their arrival. Can&apos;t They Apply for Asylum in Mexico? Yes, and many do. 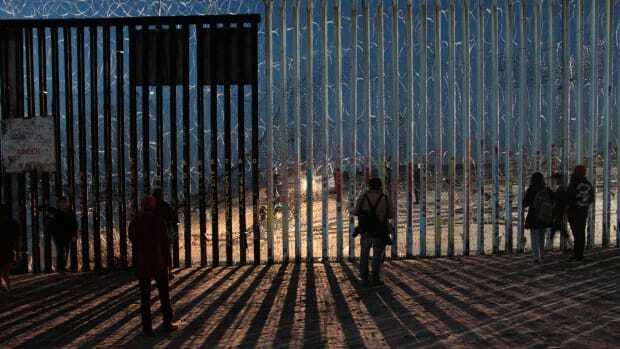 Last year, 14,596 people applied for asylum in Mexico. For months, many have suggested that the U.S. sign a "safe third country" agreement with Mexico like the one it has with Canada. That would mean that (with few exceptions) asylum seekers would have to apply for relief in the first safe country they entered instead of continuing on. But this isn&apos;t a perfect solution. Many Central Americans, specifically, aren&apos;t safe in Mexico. Mexico has a worse human rights track record than the U.S., and it has a much smaller, less efficient asylum system. Additionally, Mexican nationals are fleeing that country for the U.S. too—though they have the highest denial rate of any nation in the process. What If They Claim Credible Fear, Then Never Go Through the Asylum Process? A common Trump administration talking point is that asylum is a ticket to free entry. This is because some of the migrants who pass a credible fear screening are released pending further legal processes. (Still, many of them spend months or years in detention, awaiting a decision.) In October of 2017, Sessions claimed that many of these migrants "simply disappear and never show up at their immigration hearings." Trump claimed that only 3 percent of migrants show up to their hearings. 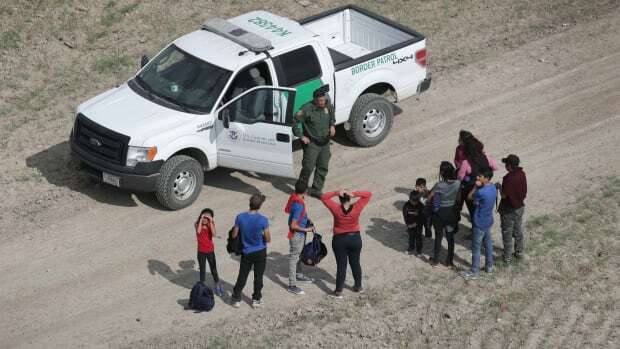 But the Department of Justice&apos;s statistics show that, in the last financial year, 89 percent showed up to legal proceedings, and under a pilot program used in place of detention, 99 percent of asylum seekers showed up to their appointments. (Trump ended that program in June of 2017.) Additionally, immigrants have up to a year to begin the asylum process after entering the U.S. The small percentage of asylum seekers who don&apos;t show up to court are ordered removed in absentia. Months to years—immigration courts have a well-documented backlog of cases. Additionally, unlike refugees, who are cleared to work legally from the time they first arrive in the U.S., asylum seekers remain undocumented and cannot work legally until their case has been fully processed or 150 days pass. How Many People Are Actually Granted Asylum Status? In fiscal year 2016, only 20,455 people total were granted asylum of the estimated 180,617 people who applied—11 percent. Seventy-five percent of cases from the Northern Triangle were denied between FY 2012 and FY 2017.